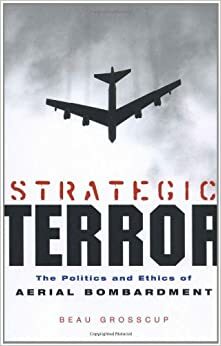 Grosscup is author of several books on terrorism including The Newest Explosions of Terrorism and, most recently, Strategic Terror: The Politics and Ethics of Aerial Bombardment. “1. Who is funding ISIS: Saudis and other Sunni Gulf states — most of whom, Turkey included, are, other than Israel of course, the U.S. government’s best friends in the Middle East. “2. The regime change demand for Syria is the same Neocon non-negotiable demand that got us in this place in Iraq and Libya. “Thus,” he added, the “best strategy — assuming U.S. wants to diminish the radical (Whabbi) Sunni threat — is to push hard on the Saudis; especially, to stop backing their Yemen War. Of course this could mean threatening a longstanding relationship. But U.S. needs to ask: What price peace? “In Syria, U.S. and its allies should stop trying to dictate who rules Syria. The U.S. government has historically worked with the Assad family (same as with Gaddafi in Libya) — why all of a sudden did he have to go? ISIS can only be diminished if they are met with a united front in Syria and Iraq politically as local and international political unity is central to military unity.